I have to admit I worry little about the aesthetics of my coffee, sure I don’t want them to look crap but my prime objective is that they taste good and that the stretched milk has the right texture. Stretching the milk is now even easier with the V3 steam wand fitted to my Rancilio Silvia; such a worthwhile upgrade, but I digress. 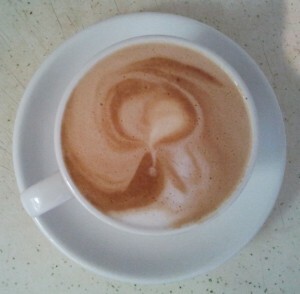 But every now and then I just luck it and the milk pour creates its own great latte art. Sure it never looks like the fancy latte art you get in a coffee shop, but like a good ink blot test one can see something in my “art”. So today I present the Lucky Leaf. Coffee on Comrades. 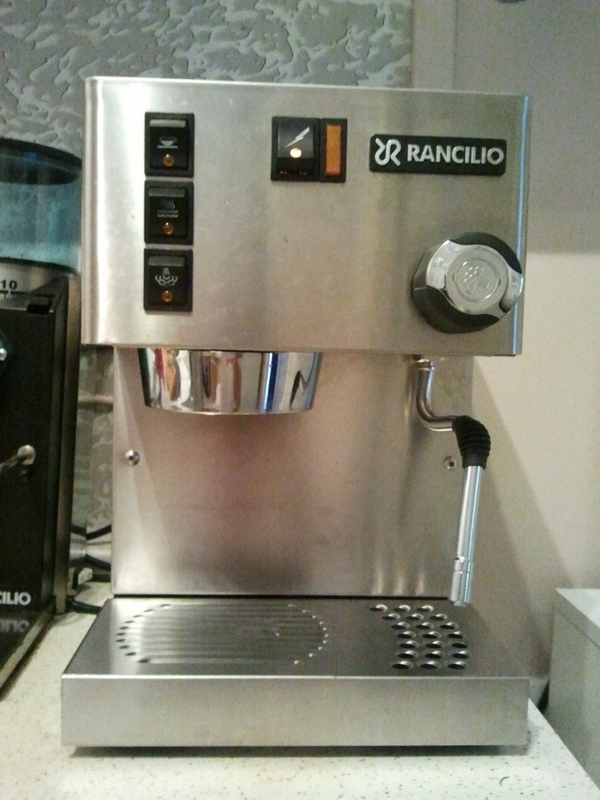 To say I love my Rancilio Silvia would be an understatement. 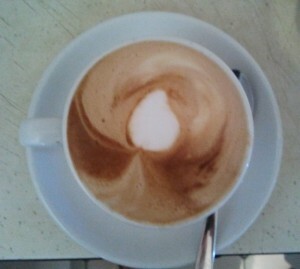 It is a fantastic espresso machine. A true Italian beauty that is like a monument to brushed stainless hiding internal monuments to brass. It’s Achilles heel for me has been a leaky and squeaky steam/water valve. Every time I tried to put water into a cup from the wand it would spit and squeak then blast a water with great velocity. This blast often meant a scalded finger but it was something one out up with. I looked enviously at the Version 3 Silvia with that cool commercial style wand. Then I discovered the upgrade kit. Hello there! The upgrade kit came from Coffee Parts and was quite easy to fit. A Phillips screwdriver, 17, 18, 22 and 23 mm spanners are what was needed to fit this delightful steam wand with a ball joint to allow better movement. The wand has a slightly larger hole which facilitates better milk frothing and it is much quicker to heat the milk in the jug. A great upgrade to my machine. Now it’s time for another Harrar flat white.